Your exclusive CSR is here for you! Tips: Your question will be answered in 24 hours. Do I still need spectacles if I wear contact lenses? You should replace your spectacles at the same time as you update your contact lenses, where the prescription changes, for several reasons. Firstly, most people cannot healthily wear their lenses all day long, every day. Wearing lenses this much can often affect the health of the eye, and it can do it without any symptoms. Therefore most people still need to wear their spectacles in the evenings or on occasional days during the week to prevent health problems. Secondly, if you do have trouble with your lenses (wearing them too much, eye infection, damaged lenses, etc) then you will probably have to stop wearing them and resort back to the spectacles. If your vision is bad and you cannot wear your lenses, could you drive or work without your spectacles? All contact lens wearers, especially those who have difficulty functioning without their contacts in, NEED to have a spare set of specs! Why? A number of reasons: There are times when a person can't wear contact lenses, whether for medical reasons, comfort, or convenience. Contact lens wearers also need eye protection, and contact lenses may not be suitable for your needs at all times.Backup. Everyone who has a vision prescription, should have a backup pair of glasses. See why here. Sunglasses. Contact lenses do not protect your eyes from the sun, or UV light. The same way you should wear sunscreen when you are in the sun, you should also have sunglasses to protect your eyes. See the risks of UV light here. Reading glasses. If you are over 40, you may have noticed that you aren't seeing as well up close anymore. Here we explain what presbyopia is, and why you will probably need some readers to wear with your contact lenses. Okay, so now you admit that you need a pair of glasses, whether it be a backup for your contact lenses, a pair of sunglasses, a set of readers, or all three. Actually, whether you choose eyeglasses or contact lenses depends on your personal preference. However, both eyeglasses and contact lenses have its own disadvantage and advantages. Obviously, eyeglasses require very little cleaning and maintenance. It is easier for you to wear a pair of eyeglasses than wear contacts. Moreover, the eyeglasses is much cheaper than contacts in the long run since they do not need to be replaced as so often. However, wearing contacts are more convenient when you do some special activities or sports. You do not need to worry the falling of the eyeglasses or broken. So in this way, I think even though you wear contact lenses, a pair of eyeglasses are still to be prepared for your convenience. All contact lens wearers, especially those who have difficulty functioning without their contacts in, NEED to have a spare set of specs!Why? A number of reasons: There are times when a person can't wear contact lenses, whether for medical reasons, comfort, or convenience. Contact lens wearers also need eye protection, and contact lenses may not be suitable for your needs at all times. Yes, you still need to have glasses with a current prescription. Reasons are as follows, In order for your eyes to remain healthy they sometimes need to breathe normally. 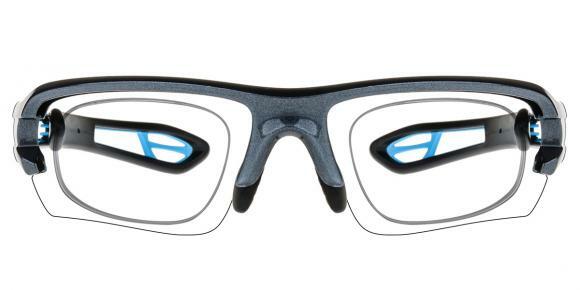 During this time you would Want to wear your glasses to continue your daily activities. Glasses are also needed during the treatment of an eye infection or eye injury. In most cases it would be necessary to wear glasses rather than contact lenses to promote proper eye healing. Sometimes seasonal allergies may force you to remove your contacts in order to get some relief. Glasses would again be necessary to maintain comfortable vision. Various situations may also arise that would prevent you from wearing your contacts. It is possible that you may tear or lose a lens and be without a replacement-possibly for days. Parents of newborns and young children may find themselves awake in the middle of the night tending to children. These incidents and many others would be less stressful with an updated pair of glasses on hand. 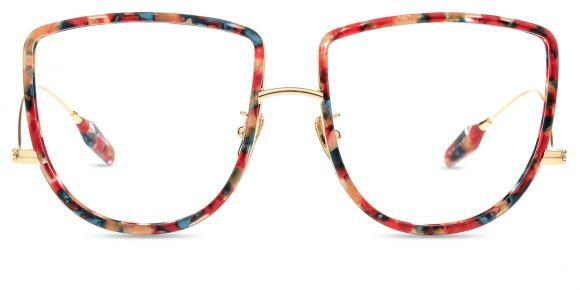 Aside from emergency situations glasses can be fashionable too! If you're happy with the aesthetics of your glasses you are more likely to wear them. How do you safely complement someone on their eye color? What complications can be caused by wearing contact lenses? What harm does contact lenses have to my corneas? Is the nursing liquid of contact lenses all-purposed? How often should contact lenses be changed? Will a prescription be necessary if I just want contacts to change my eye color? Can those with astigmatism wear contact lenses? How to protect my eyes when I wear contacts? Is it OK to swim while wearing my contact lenses? Is photophobia a complication of Intralase? Can anyone tell me what is peripheral vision? Is it common for eye twitching after taking antibiotics? What causes peripheral vision distortion? Can you explain how astigmatism can cause double vision? Who is not suitable for lasik surgery? Does double vision make eyes get tired easily? What are the common causes of double vision? What supplement is good for cataracts prevention? Copyright © 2019 Firmoo Online Optical Store.All Rights Reserved.